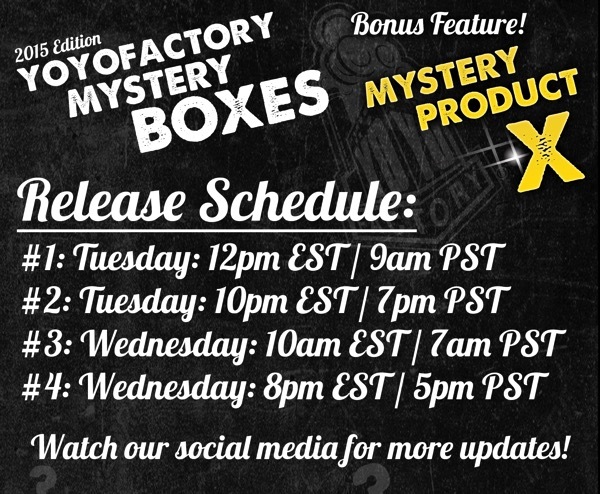 YoYoExpert Blog & Yo-Yo News – 2015 Mystery Boxes – Everything You Need To Know! It is official! 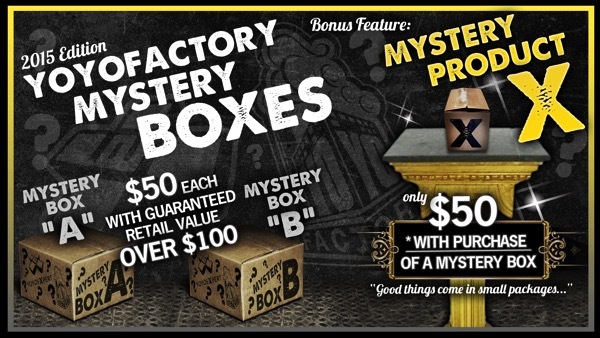 The 2015 Mystery Boxes are one of our most exciting yet! Which Mystery will you choose? Box A or B?! 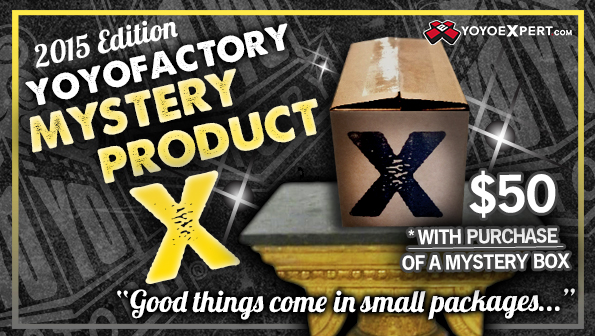 PLUS don’t miss your chance to own to own Mystery PRODUCT X! A simply amazing new yo-yo that won’t disappoint! MYSTERY PRODUCT X AVAILABLE HERE! 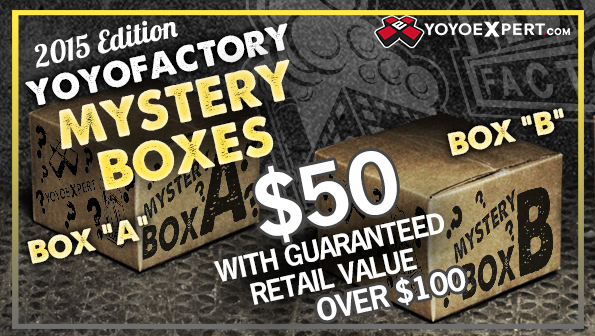 Wait, so you buy a box for $50, and you are guaranteed to have a yoyo over $100? For both, A and B? Wait, so you buy a box for $50, and you are guaranteed to get a yoyo that is over $100? And for both, box A and box B?